E. L. Pollock was Edmund L. Pollock (1863-?). He can be found in the 1900 and 1910 U. S. Census reports, living both times at 2343 Old Broadway. In 1900 he was 36 years old, born July 1863, New York, "Housesmith." In 1910 he was 45, born New York, "Iron Worker Foundry." He appears in New York City directories from 1895 through 1913. His address was 2343 Broadway (or Old Broadway) from 1897 through 1913. 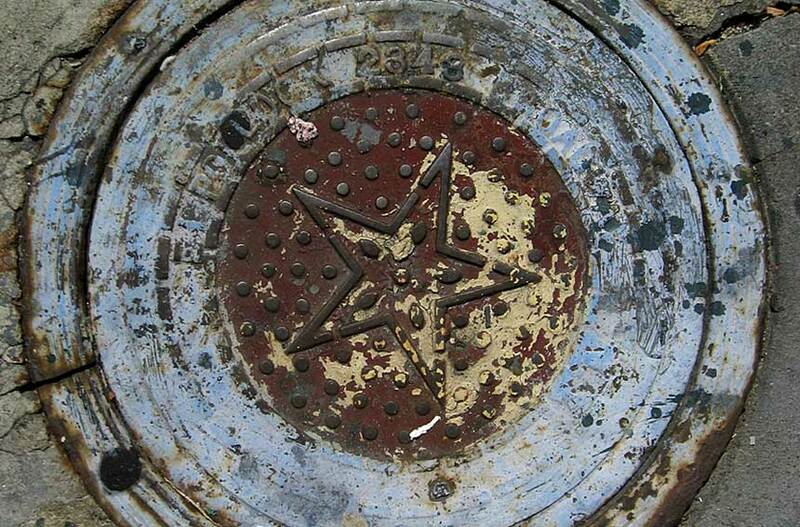 This coal chute cover with the address 2343 Broadway very possibly dates from the early years before 1900. In 1906 the Columbia Spectator ran a classified ad for a furnished room for "one or two young men" at "Pollock," 2343 Old Broadway.